Here's my second Gigi Kennedy layout, from the online workshop I've been doing. Missed the last step of inking and sewing around the edges- might do that some time! Initially wasn't sure about the squares but am stoked with the end result. 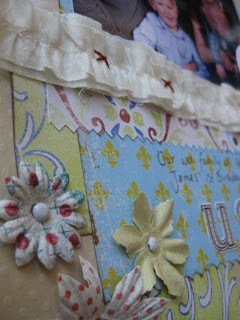 Used up some 7 Gypsies scraps from my stash too. 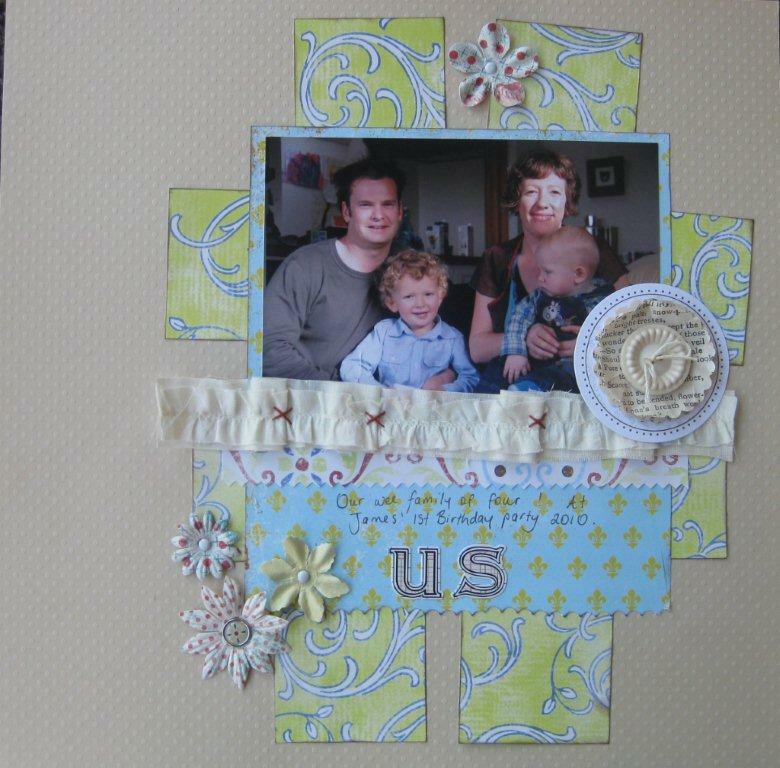 Great use of the scraps Sally! Love the strip of fabric and the layered flower/button! That's such a sweet photo too! 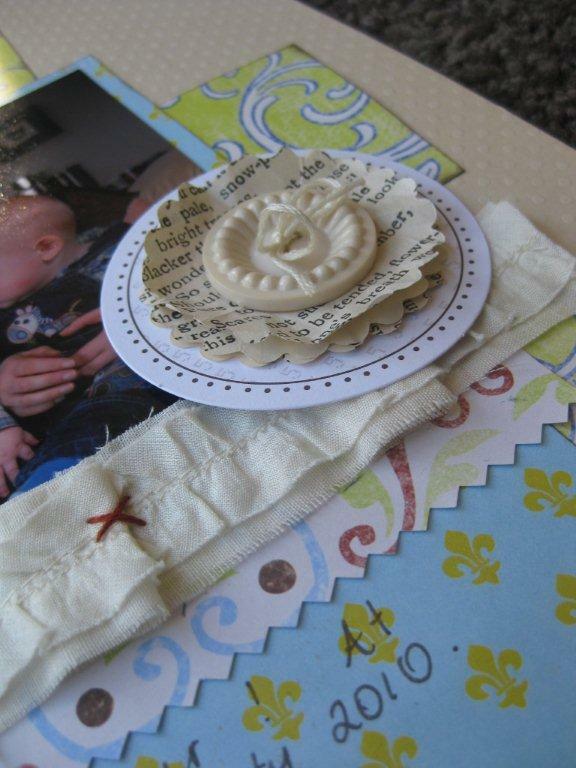 A beautiful LO, I love the layered flower and button too, so gorgeous.